This week’s segment opens with a look back at this week’s RAW before Jonathan Coachman names Foley’s Top WrestleMania Moments. Top Debut was as Mankind at WrestleMania 13 against Owen Hart and The British Bulldog, Top Tag Team was as Cactus Jack at WrestleMania 14 with Chainsaw Charlie against The New Age Outlaws, Top Spot was WrestleMania 22 with EDGE spearing him through a flaming table and Top Main Event was WrestleMania 16 against The Rock, Triple H and Big Show for the WWE Title.Foley joins Coachman, who asks about Foley’s favorite WrestleMania moments. As a fan, Foley names Randy Savage vs. Ricky Steamboat from WrestleMania 3 and as a wrestler, his favorite moment was his first at WrestleMania 13 in 1997 when Steve Austin and Bret Hart had their classic match. Regarding the flaming table spot with Edge, Foley says he felt an enormous amount of pressure. Foley says when he first retired, WrestleMania moments weren’t a must-have thing but he and Edge were determined to make one. He says they went out with the goal of stealing the show and he believes they were successful. Regarding The Undertaker vs. Shane McMahon inside Hell In a Cell at WrestleMania 32, Foley says every time two people step in the Cell they’re always looking to live up to the legacy of the structure. Foley says the Cell is almost structured for Shane and Taker, who are willing to do almost anything, and the Cell itself allows you to redefine what the word anything means. 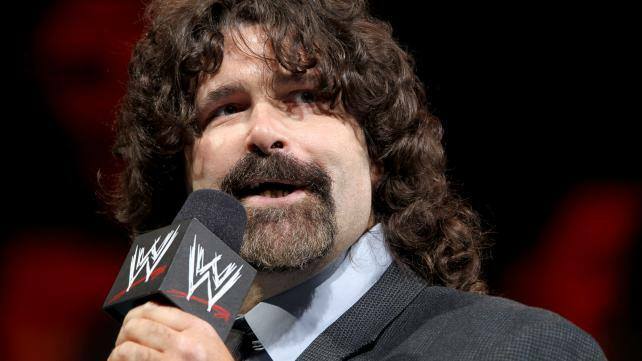 Coach asks which character Foley enjoyed the most – Cactus Jack, Mankind or Dude Love. Foley talks about going home and shaving his hair, which was his way of saying he would never do anything in public again. Until Vince McMahon called. Foley says he had the time of his life reinventing the authority figure as Commissioner and really enjoyed it. Foley says he felt like he was making a difference and making people smile. He also talks about enjoying the Mankind character during his days teaming with The Rock. Coach says Foley has never been a finely-tuned athlete and asks what allowed him to be popular with fans for so long. Foley says he made the most of what he was given and found a way to connect with fans in a way that was real. Foley says he’s really lucky and fortunate. He’s 50 years old and still gets to wear swear pants. Foley also talks about his post-in-ring career and more.